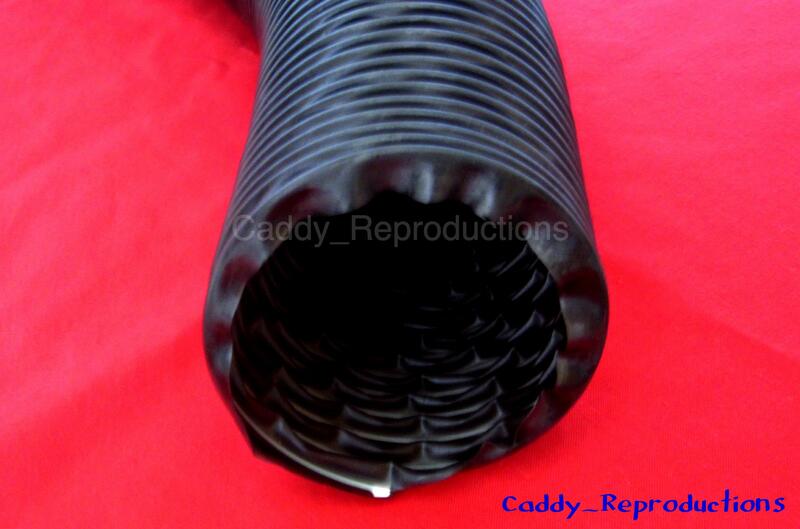 ~~Here is a Set of New Cadillac Heater Blower Motor / Fresh Air / Defrost Ductwork, For your 1946 - 1966 Cadillac. This is the Ductwork that you see under the hood. Dress up your Engine Compartment with this Black Ductwork with wire reinforcement. You get two and the Diameter is Aprox 4" x 6' Long. You may need more depending on your year & / or Model. Please Note: The blower motor & Clamps pictured are not included & are for reference only. We do have Clamps in the store... the clamps ship free when you buy the duct hose. 1946 1947 1948 1949 1950 1951 1952 1953 1954 1955 1956 1957 1958 1959 1960 1961 1962 1963 1964. 1940 - 1966 Cadillac Heater Hose Clamps - 13/16"